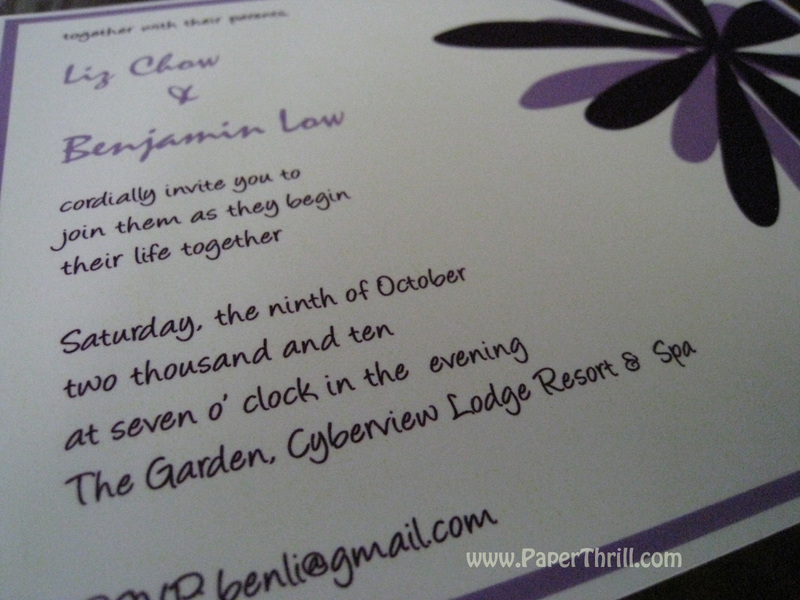 Daisies are very popular flowers in weddings dues to it's various colours and versatility. 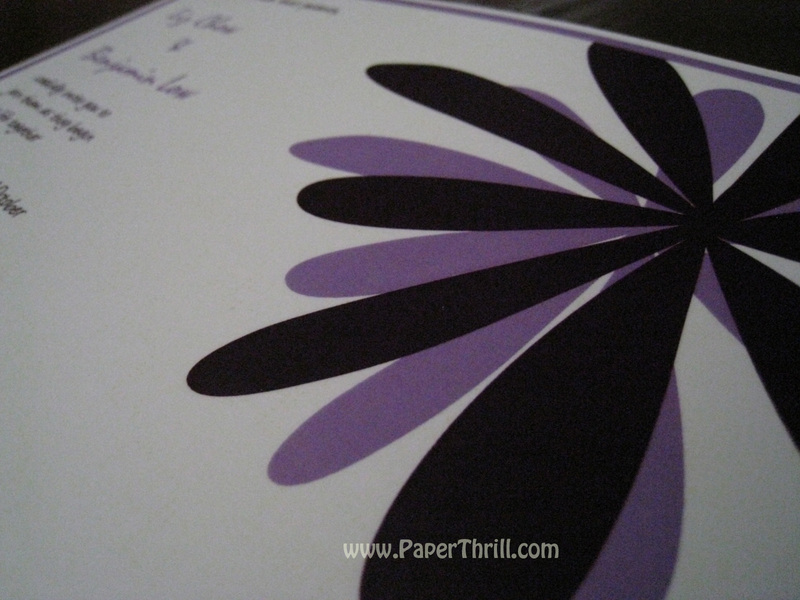 We decided to do a modern take on the flower and incorporated it onto wedding cards. 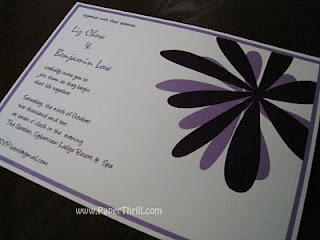 We did a double daisy like all things should in customary Chinese wedding and used the colour purple. Colour customization is possible. can you quote me the price for this type of card? But I would like to have the sunflower instead of daisy. 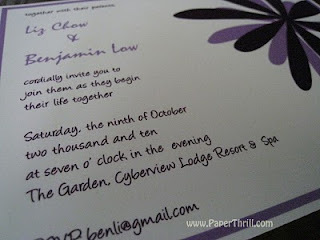 my email is loosherlyn@gmail.com.